Apple iOS 11 features, release and more details have been announced. Here’s everything you need to know about Apple’s latest mobile firmware for iPhone, iPad and iPod touch devices. The majority of recent focus may have been placed firmly on Apple’s next-generation iPhone – dubbed iPhone 8 – but the company has today used its annual developer conference, WWDC 2017, to shortly shift its focus onto the next-generation platform which will power that device, iOS 11. In front of a captive and excited audience, Tim Cook and his team have finally introduced iOS 11, including diving into details about its features and public availability. iPhone 8 may be the topic everyone is talking about, but that device wouldn’t be capable of standing ahead of the smartphone pack without a highly powerful and advanced operating system powering it. iOS 11 is that OS, and we now know everything that we need to know about what is going to be offered to the public later this year. Check out all the details below. 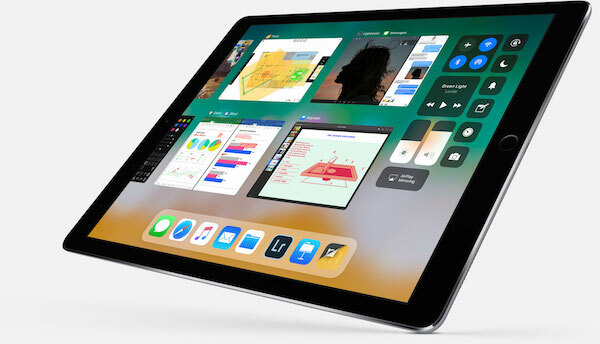 There’s now a customizable Dock which pins your frequently accessed apps and documents for quicker and easier access no matter where you are on the iPad screen. 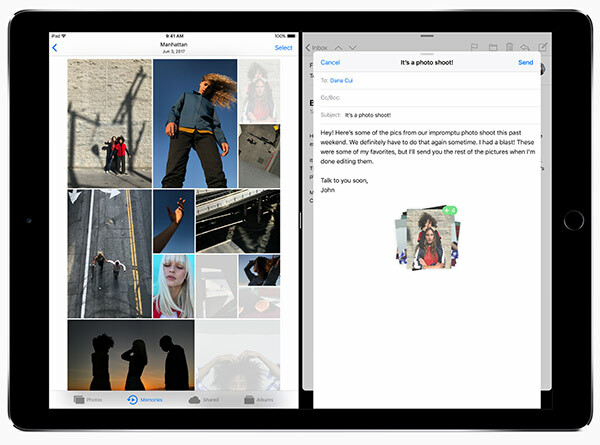 More so, Drag and Drop system is now available across the entire iPad experience, letting you easily copy text and pictures across to documents, folders, and more. 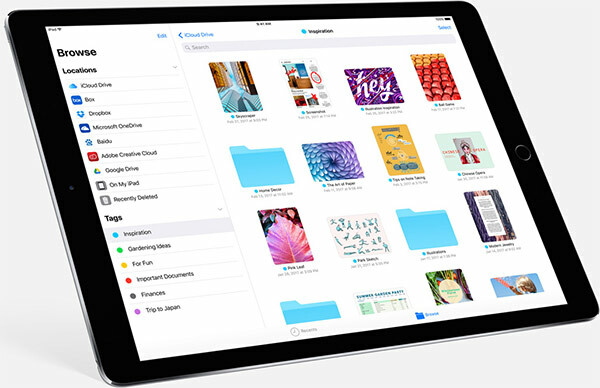 The new Files app brings all your files, whether stored locally, in iCloud, Dropbox, Box etc, right under one roof. iOS 11 also brings in something more for Apple Pencil users, with a light tap of the Pencil on the locked display of the iPad invoking the Notes app. Apple calls it Instant Notes. The Apple Pencil can now also be used for inline drawing. Pencil also now integrates with different apps, allowing Markup to be used with Pencil while taking screenshots, in Safari, and more. The Notes app gains a new Scan and Sign feature which scans for a document and automatically trims out the sides and glare, allowing you to simply sign the document with Pencil and print it out. Finally, after offering Messages across multiple devices for quite some time, those conversations will now have iCloud syncing so there’s now continuity between machines and devices. 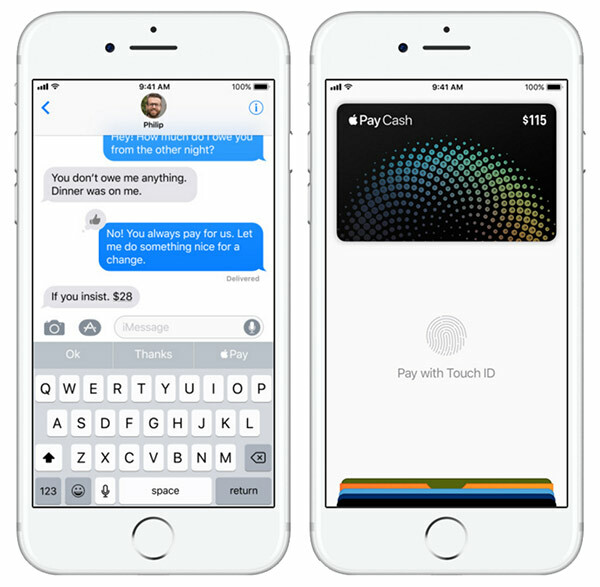 Following a bunch of rumors, Apple has finally integrated peer-to-peer Apple Pay payments directly into an iMessage app called Apple Pay Cash. “They can send money and get paid right in Messages, or tell Siri to pay someone, using the credit and debit cards they already have in Wallet. When users get paid, they receive the money in their new Apple Pay Cash account.” Consequently, your Apple Pay Cash account can then be used to make payments to others, or even be used to buy stuff as you would normally do with your Apple Pay account. It’s also now much easier to access Sticker Packs and iMessage apps from the bottom of the interface rather than having it hidden away. As expected, there’s also a big change coming to Siri in iOS 11. Machine learning appears to be the Apple buzz phrase of the day, and that is evident in the new iOS 11 changes. 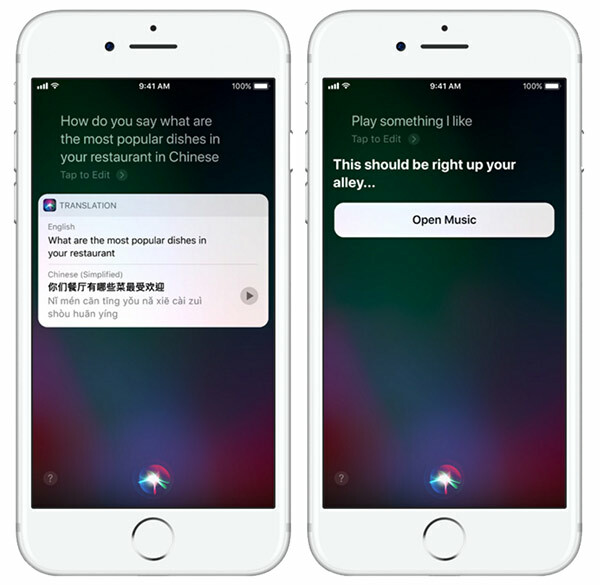 Siri can now follow conversations and questions rather than offering single replies. There’s also new translation feature built directly into Siri with support for English, Chinese, French, German, Italian, Spanish. While this particular feature is in beta for now, the underlying thing here is that Siri is a lot more intelligent, and is capable of learning on the fly to make better improvements, provide more contextual answers to questions, and is even synced across multiple devices. As an example, it can offer word suggestions when you’re typing in context to any webpage of Apple News content you may gave been reading. Slick! Less impressive, but equally important, the new natural and expressive tone of both the female and male Siri voices. The camera has always been a big thing for Apple, and changes have been made in iOS 11. “Portrait Mode images can be taken with optical image stabilization, True Tone flash and HDR”. There are significant enhancements to how photos are taken and stored with better compression techniques. While the overall image quality is being improved with iOS 11, new HEVC video encoding decreases the file size of a 4K video. Similarly a newly introduced HEIF system decreases the file size of every photo taken with the iPhone 7 and 7 Plus. There’s also more intelligent location tracking on photographs, some wonderful and emotive changes to Memories in the Photos app. Live Photos now allow you to trim the clip and even set a particular frame as the key photo, or you can set a loop or other effects as well for the photo. The new and improved Control Center is now a tall widget-styled page which looks close to a remote control with all controls shown on one single page. You can 3D Touch on the settings to access more detailed settings. The iOS Lock Screen and Notification Center have also become one single entity with intelligent rich notifications. Apple Maps has been somewhat of a labor of love for Apple, but it’s also new had a new upgrade with indoor mapping support for major malls and airports with the intention to continually build out and support more locations over time. And it doesn’t stop there, when navigating the app will also alert you to lane changes, and the speed limits. 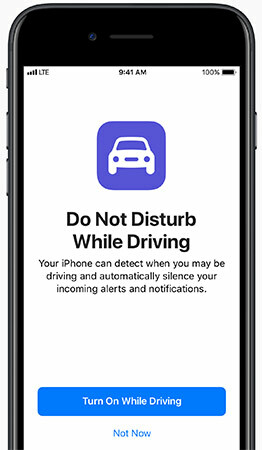 CarPlay now has a Do Not Disturb mode to prevent notifications from disturbing you whilst driving and keeping the screen of the device off. If you try to turn it on, you will be told that it’s not exactly as smart move, but if you must, you can customize the feature to allow certain contacts to be able to get through to you even with the feature active. There are also improvements to the relatively new Home app with a new Speakers functionality that’s being integrated with a number of well-known speaker manufacturers. With the new AirPlay 2 feature you now have multi-room audio control over smart wireless speakers. Even better Apple TV owners can set up the device as a central hub for all speakers connected to it. An iOS update wouldn’t be an iOS update without some attention being paid to Apple Music. There’s a new friends integration to see what friends are listening to, and the ability to have Shazam automatically add songs to an Apple Music playlist. 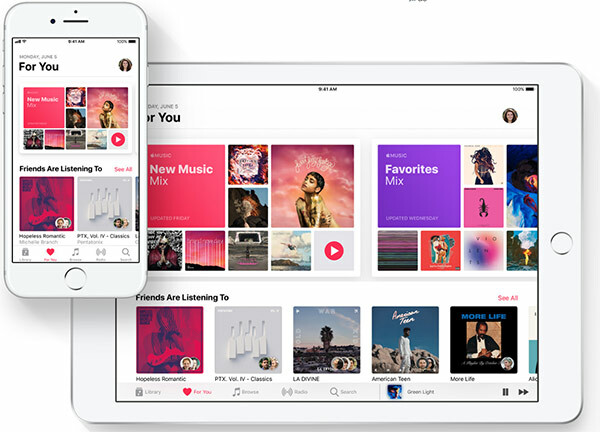 That’s not all though, there’s new MusicKit framework for developers to give full access to the Apple Music experience. There’s also a total revamp of the App Store, which is the first time this has happened in its history. In fact, it now looks very much like the Apple Music app with its chunky text and overview pages. It will feature a new App of the Day, Game of the Day, and The Daily List sections along with of course all the other App Store features. In-app purchases also gets its own section so you don’t have to drill down into the app itself. Apart from this, there’s Automatic Setup feature including for quickly setting up a new device, tweaks made to QuickType keyboard, new additions to Apple News app, and more. 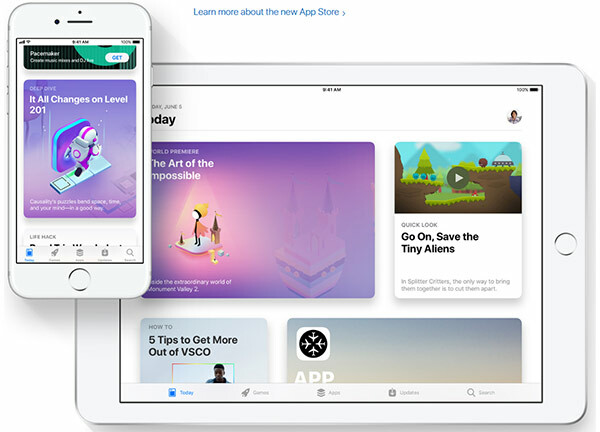 Overall, some really interesting and important changes within iOS 11 which take it to the next level rather than reinventing and overhauling the platform. 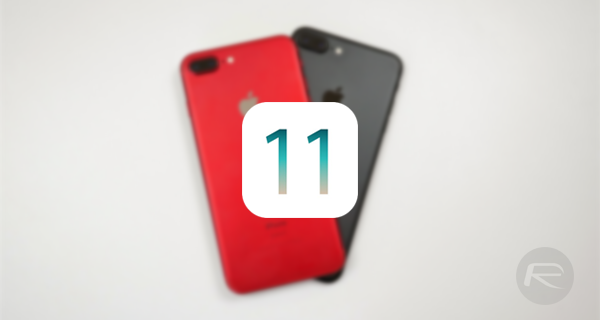 For all other features of iOS 11, check out: 80+ Hidden / Secret iOS 11 Features For iPhone And iPad [Running List]. iOS 11 beta 1 is available to download starting today for registered members of the Apple Developer Program. If you are on Apple Beta Software Program, you’ll get your hands on public beta somewhere this month. As is always the case, the final version of iOS 11 will be made available to public sometime this fall. Still no FaceTime conference call. lol ok fanboy. 80% of Apple users are running iOS 10. 7% android users are the running the latest. The best and most secure mobile OS just keeps better and better. He i8 is going to break every sales record. No point upgrading when my iPhone SE works so well still and am running IOS11 already. Nice and small and fits in the pocket nicely. When all you need is a phone that makes calls and photos and browses the net and play a few games here and there why do you need the latest and greatest? Are they going to fix the battery drain issue with this update or is my next phone going to be an Android ?